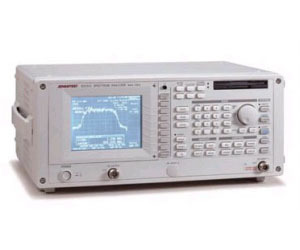 With the performance of a standard middle-class spectrum analyzer and a low cost, the R3131A Spectrum Analyzer can be used in a wide range for many applications. The R3131A is basically designed with a panel size assuming rack-mount use. The operation key layout is a simple, easy to use design which accommodates system use and personal use.